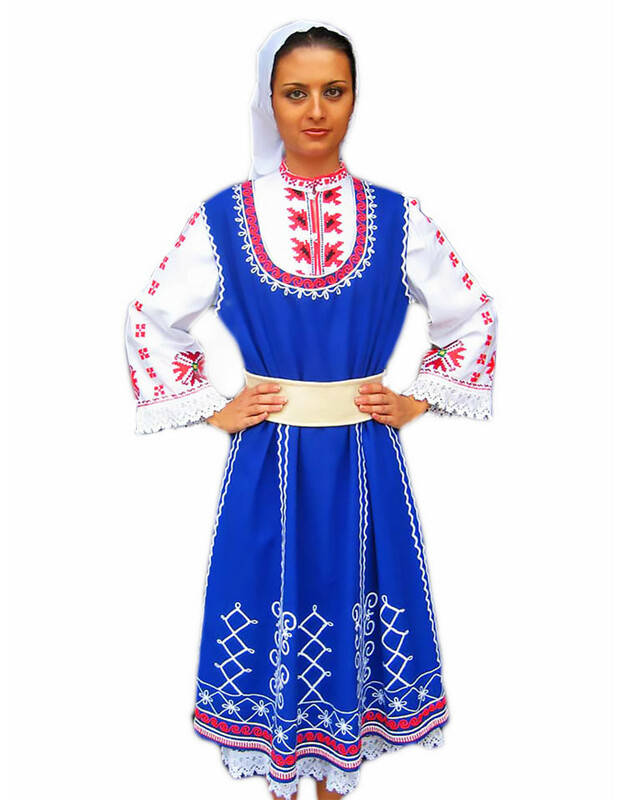 This Bulgarian dress has a beautiful blue color and isone of the stylish in our collection of national costumes from Bulgaria. 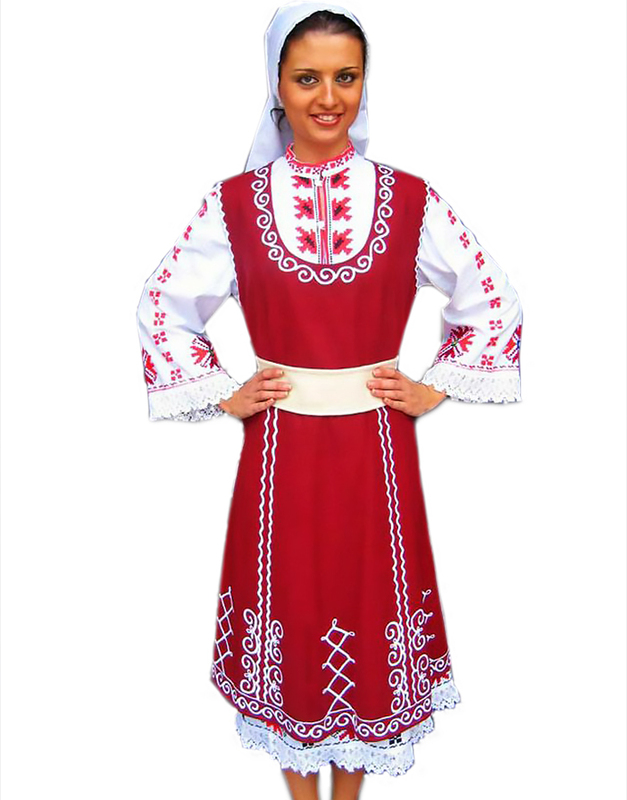 The Bulgarian clothing has got its own outstanding traditional features such as a bright green, black or red apron. There is a great variety of the traditional Bulgarian folk costumes from one region to another. 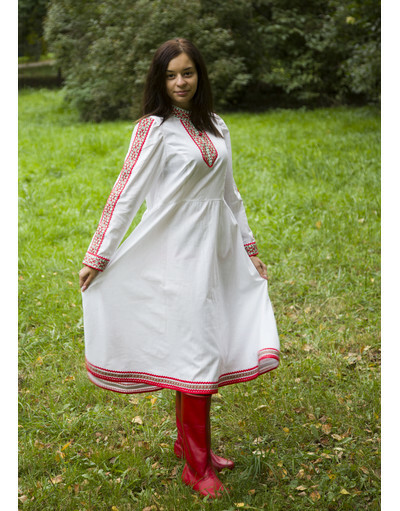 This Bulgarian traditional dress includes: a long white dress, an upper dress and an apron. The sizes for girls are indicated by age. For ladies, there is a regular table with S-XXL sizes.Please, take into account that ornamental decoration may differ from the shown on the picture. The production time of Bulgarian clothing is 5-7 working days.